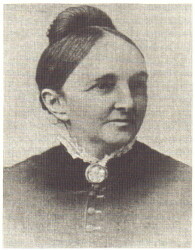 Cooke, Rose Terry. Legacy Reprint: “Women Writers on Women Writing: The Memorial of A. B., or Matilda Muffin.” [Atlantic Monthly 5 (1860): 186-91.] Legacy 2.2 (1985): 80-82. Elrod, Eileen Razzari. “Truth is Stranger than Non-Fiction: Gender, Religion, and Contradiction in Rose Terry Cooke.” Legacy 13.2 (1996): 113-29. Linkon, Sherry Lee. “Saints, Sufferers, and ‘Strong-Minded Sisters’: Anti-suffrage Rhetoric in Rose Terry Cooke’s Fiction.” Legacy 10.1 (1993): 31-46. Walker, Cheryl. Legacy Profile: “Rose Terry Cooke.” Legacy 9.2 (1992): 143-49. Zagarell, Sandra A. Review of Rutgers University Press American Women Writers Series. Legacy 4.2 (1987): 62-66.